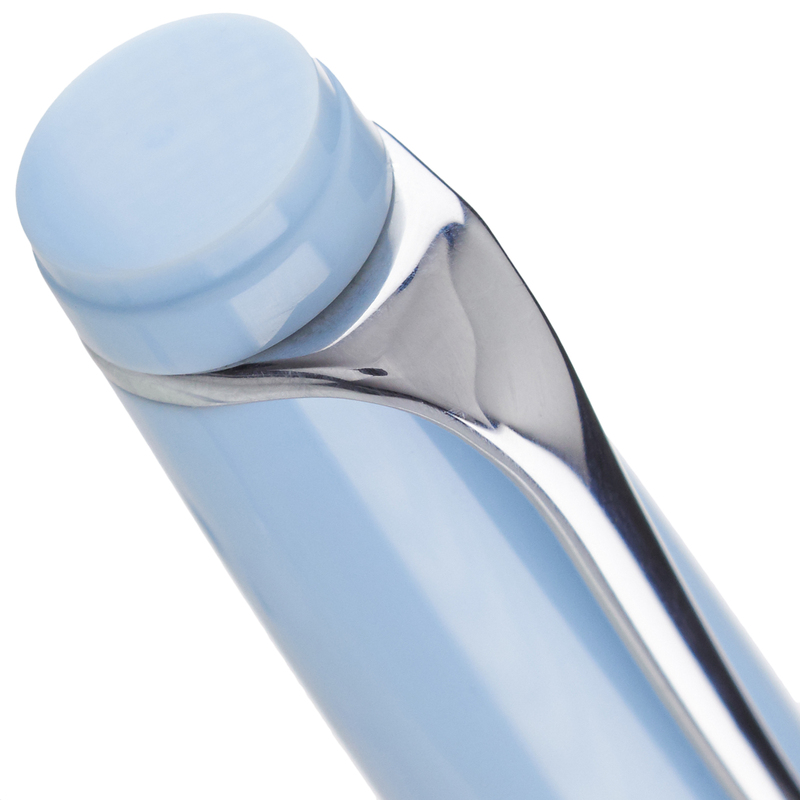 The Aurora Optima Fine Flex Light Blue Resin is the second in this series of limited edition pens designed to introduce the rhodium-plated version of Aurora's new Fine Flex 14k nib. 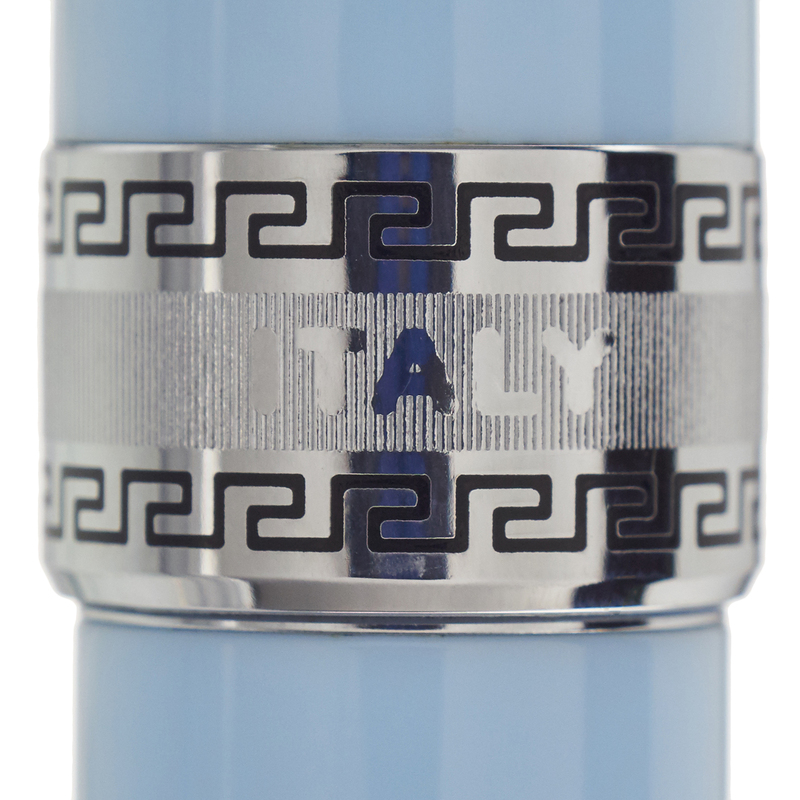 Each pen is being produced in just 330 numbered pieces worldwide, after which no more will be available. 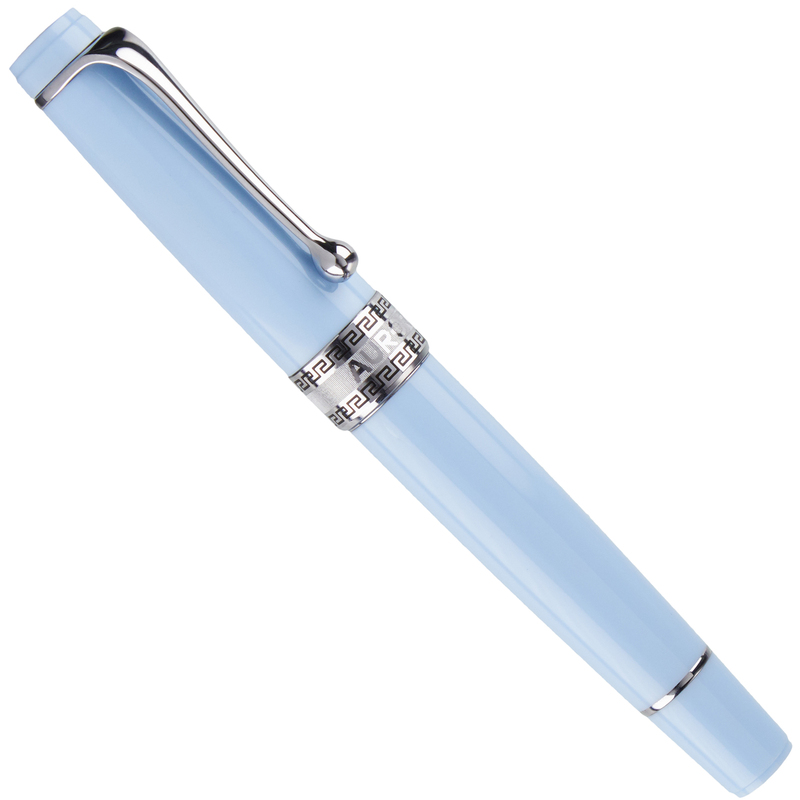 The Optima is one of the classic Aurora pen models, and the combination of a light pastel hue with rhodium trim gives this particular model a notably contemporary appearance. 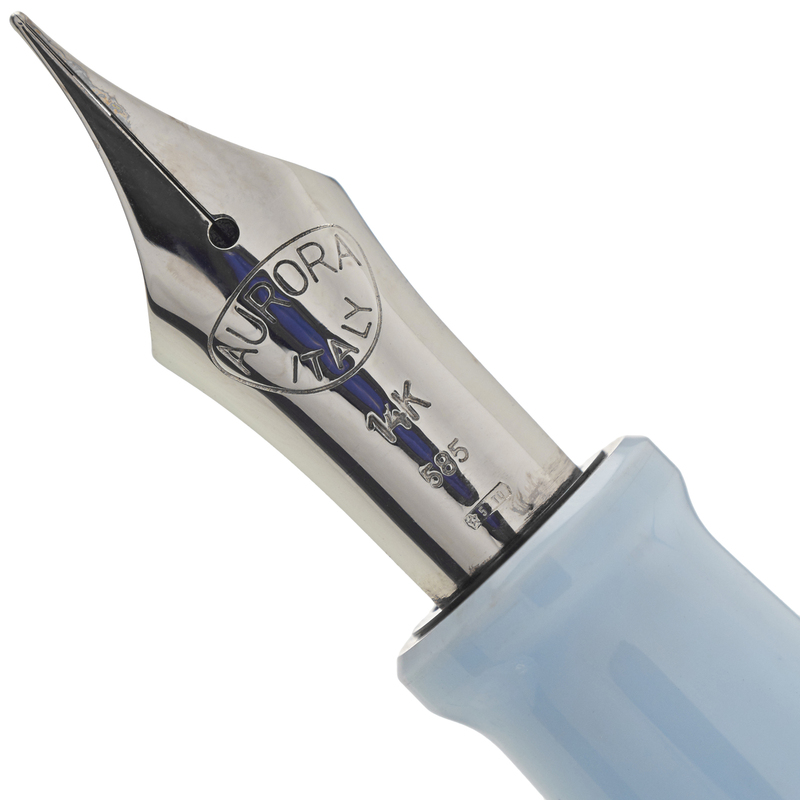 The pen utilizes Aurora's highly reliable piston-fill system, which allows for the use of any bottled fountain pen ink and also provides for a generous ink capacity. Normally provided only with the Fine Flex nib, we are able to equip this pen with your choice from among the full range of Aurora 14k solid gold rhodium-plated nibs. Each pen will be tested, inspected, and optimized for your personal writing characteristics before shipping to you. Aurora solid gold nibs also provide an excellent starting point for many of our unique nib customizations, and the Fine Flex nib is particularly appropriate for our noted Spencerian customization.